Portable, lightweight air source for one worker. The Supplied Air Respirator (SAR) is a less expensive alternative to traditional continuous flow respirators. 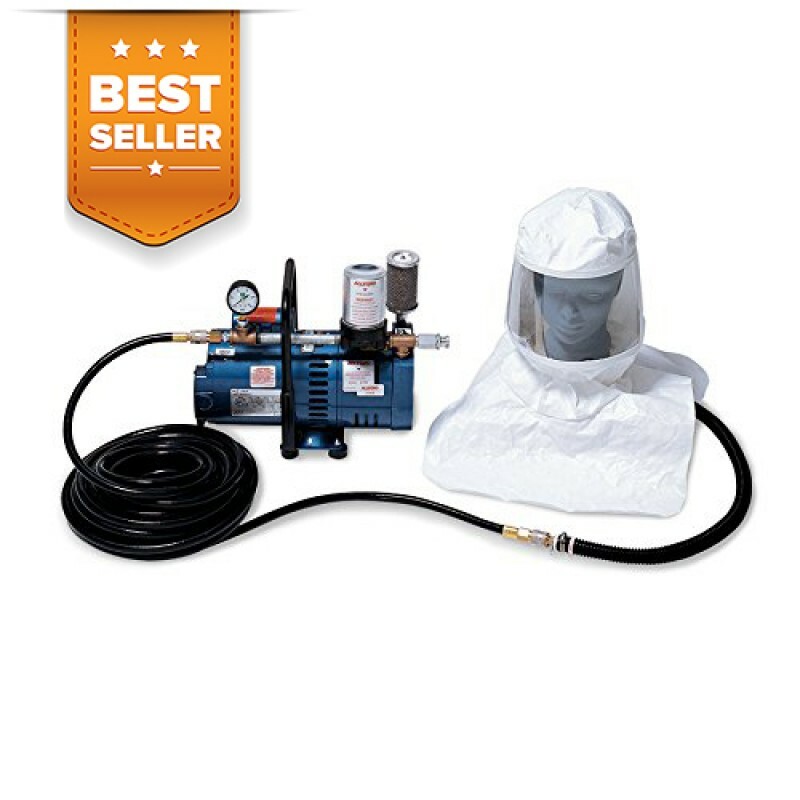 Continuous flow supplied air respirators provide a constant flow of air to the facepiece from an external air source and are used in non-IDLH environments. This comfortable supplied air respirator system offers a portable lightweight air source for one worker. The Allegro supplied air hood system is durable and an easy to use fresh air respirator. 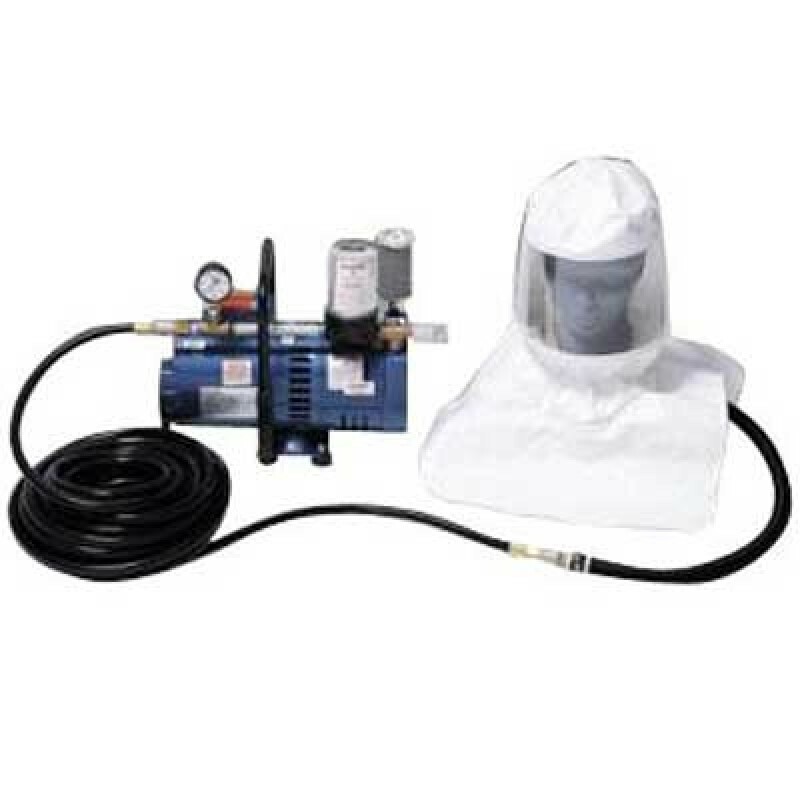 The low pressure ambient air pump provides continuous flow to the hood and is ideal for use in areas such as painting, asbestos abatement, and other dirty environments. NIOSH-approved. Pump must be placed in a clean air environment. Supplied air respirator system ambient air pumps do not require temperature alarms, CO monitors or airline filters, offering a cost-effective alternative when compressed air is not available. Additional air supplied hose can be purchased, total length of line not to exceed 100'.